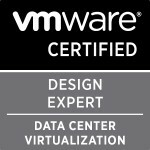 If you feel yourself or someone you know would be a good candidate for the designation then go to the vExpert page here: http://communities.vmware.com/vexpert.jspa and submit your application or nomination. Categories: Virtualisation | Tags: vExpert, vExpert 2011, vExpert 2012, vExpert Spotlight, VMware | Permalink. Early this morning I received the mail that I have been selected as a VMware vExpert for 2011 . Categories: Social, Virtualisation | Tags: london VMUG, vExpert, vExpert 2011, Virtualisation, virtualization, VMware, VMware communities | Permalink. Yet again I’ve been a bit slack on my posting of an All Things Virtual every fortnight (a personal aim I made for myself) due to a few things namely, any blog site/twitter/nonstandard website being blocked due to heightened security at EMC after the RSA break in, my studying and sitting of the EMC Information Storage Management exam and good old work keeping me busy. Also the increase in my studying for the VCAP-DCA has meant a large portion of my spare time has been allocated to it. A few of the below articles are a few weeks old but are still very applicable and ones I have been reading with interest and are ones I believe fellow virtualisation professionals will find interest and informative, which is the idea of these All Things Virtual postings. As I mentioned in my reasons for the delay of this All Things Virtual, I set myself the goal of obtaining my EMC Information Storage Associate accreditation by sitting the EMCISM exam. I won’t go into detail about this as I have already done a posting all about the exam and my preparations and study resources here for anyone thinking of attempting the exam themselves. I will say though that it was something different to learn as I’ve never done a storage course or exam before and it did help me solidify a lot of knowledge I have learnt via work experience. Early last week the applications for vExpert 2011 were opened and unlike years before VMware have now asked that everyone submit their own applications so VMware can get a better idea of your contributions to the community in 2010. I’m not going to go into depth about the process and criteria as I’ve already done a posting all about it, where you should apply and nominate someone for the award here. Good luck if you are applying. As I’ve posted a number of times on this blog I try to attend and participate in the London VMware User Group’s whenever they are happening. I haven’t been able to attend the last few due to work commitments unfortunately but the next London VMUG has been announced and so far it looks like I’ll be able to attend. This VMUG is a bit different from the rest as it is aimed at “Your Journey to the Cloud” with live labs and differing tracks for you to do during the day. Chris Dearden of JFVI fame was the first person I noticed to have blogged about it so if you’re interested in attending or learning more then have a read of his London VMUG–May 12th 2011 “Your Journey to the Cloud” blog posting and hopefully I’ll see you there. One of the latest announcements from VMware is the release of VMware Cloud Foundry. I was fortunate enough to attend a fair portion of the VMware Communities Roundtable call where it was announced and detailed but seeing as I have yet to play with it and that talkshoe kept crashing me out of the call, I would recommend watching Eric Sloof’s video on Getting Started with VMware Cloud Foundry just like I will be when I have an opportunity and listen to last weeks VMware Communities Roundtable Podcast. Vladan Seget has posted all about the release of the next version of the vSphere4.1 Hardening guide. As I mentioned in my VMware vSphere: Manage and Design for Security Course Experience posting, a large portion of the course is based around this Security Hardening guide and so this new version with feedback from the community is a must read for anyone looking to do the VCAP exams. I’ve already downloaded my copy. Talking of security Eric Siebert has written a great article on five ways to maximize VMware hypervisor security . A number of them should be obvious to people but as Eric mentions I’m sure a large amount of people have made their environments less secure by making changes to allow them to access their servers more easily and then have forgotten to re-enable those security features. The article is a must read for anyone looking after a VMware environment. Categories: Virtualisation | Tags: ESXi, london VMUG, vExpert 2011, Virtualisation, virtualization, VMUG, VMware, vSphere, vSphere 5 | Permalink.